Make an Easy Origami Envelope Wallet! 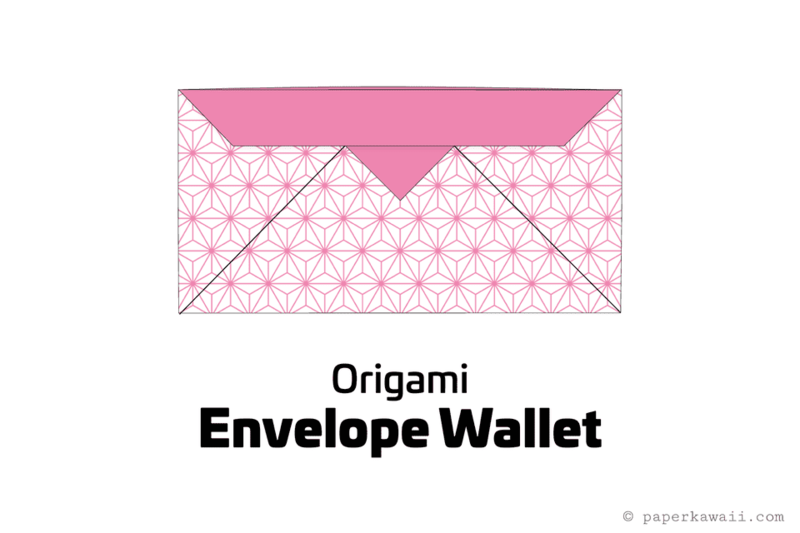 In this step by step tutorial, you will learn how to make a useful origami envelope wallet. It is more like a document holder or receipt wallet, rather than an envelope. This origami folder is very easy to make! This origami project is great for kids and adults and can be decorated in many different ways. You could use these envelopes to organize receipts, store cards, or give cash in these pretty envelopes. You can also make these out of paper napkins, and use them to present sandwiches and wraps. They are great to use when eating them! You will need one sheet of square paper for this origami, a good size to use is 15 x 15 cm, or 20 x 20 cm. You can also just use regular rectangular printer paper, check out this quick method to get a perfect square from rectangular paper. For other ideas of what kind of paper you can use, if you can't get hold of real origami paper. The patterned paper featured in the image above is free to download a print out here. 1. Fold the paper in half, left to right. Unfold. 2. You now have a vertical crease in middle. Fold the left and right edges to the​ central crease. 3. Fold the top edge of the paper down to the bottom edge, make sure this fold is nice and neat. 4. Fold the left and right corners inwards, along the creases you made previously. 5. Fold the left and right sides in, leaving one layer behind and making the diagonal folds, mountain folds. 6. This is what you should have. Next, fold the left and right sections behind. The back and the front should be exactly the same. 7. Fold the bottom left and right edges to the middle. Leaving one layer behind. 8. Imagine that the lower section is divided into 4 equal sections. Fold the lower section up, along the first imaginary line from the top. For different results, you can try changing how you fold these triangles up. 9. Fold the lower section up again, along the central crease. 11. Flip the model over, left to right. Repeat the steps you performed, on this side. 12. Rotate the envelope and it is now complete. If you enjoyed making this easy origami envelope, check out the Origami Envelopes Category for more DIY tutorials and diagrams!